Mac OS X El Capitan has added a bunch of new features and tweaks to make your Mac better than ever. 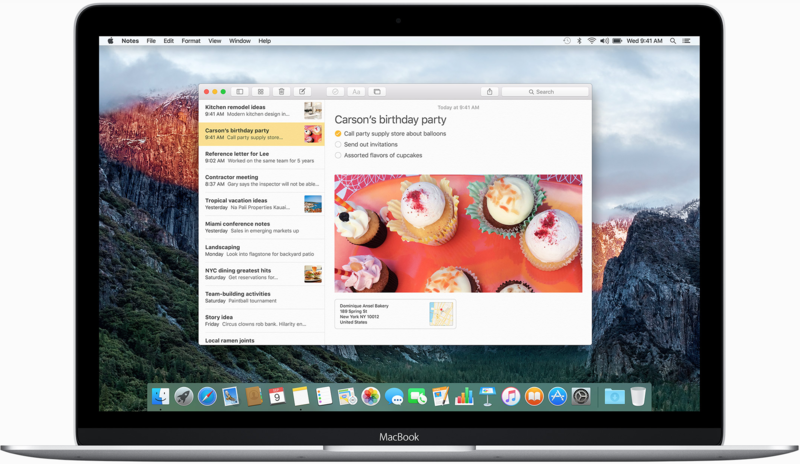 A lot of OS X El Capitan enhancements can be easy to miss, especially if you’re used to a certain workflow on your Mac. 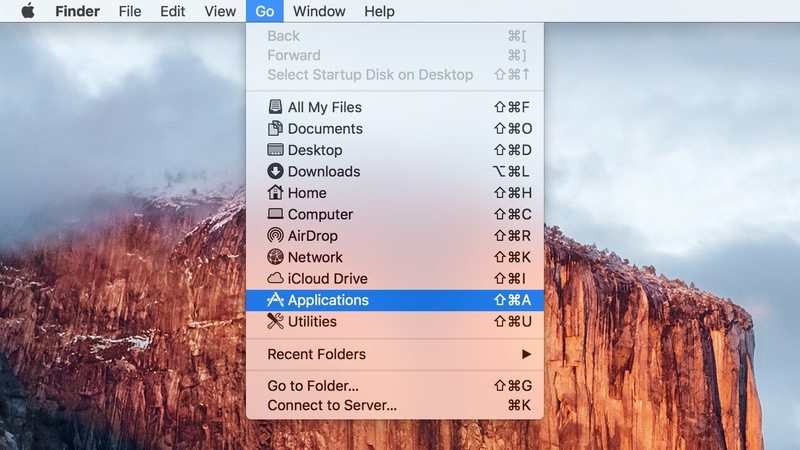 Some of them, like Split View, are an obvious attempt to bring popular Windows features over to the Mac. Others, like the new magnifying mouse cursor, are weird new features that only someone like Apple would build into their software. 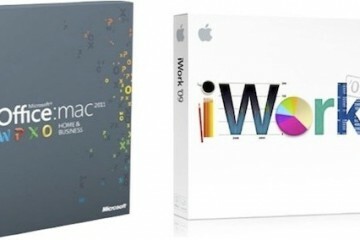 Meanwhile, here’s a list of 10 new things you can try out in the operating system. 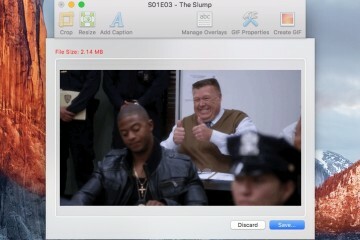 Complicated enough to warrant its own how-to guide, Split View is Apple’s answer to Microsoft’s Windows Snap. It’s a super useful way to use up the maximum amount of real estate on your display. 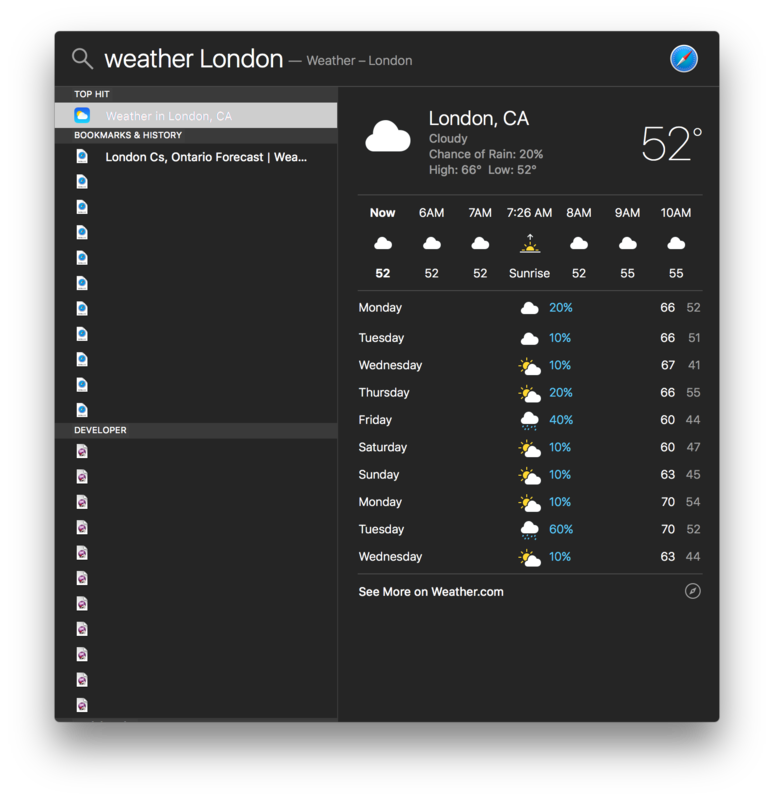 Spotlight, Apple’s powerhouse of a keyboard shortcut manager, has been supercharged with a bunch of new abilities. Just hit ⌘ + Space, and start typing. In this case, try typing ‘weather’ (without the quotes), followed by your city, to get a local weather forecast. It’s quicker that starting up a web browser, and nice to have if your phone isn’t around. 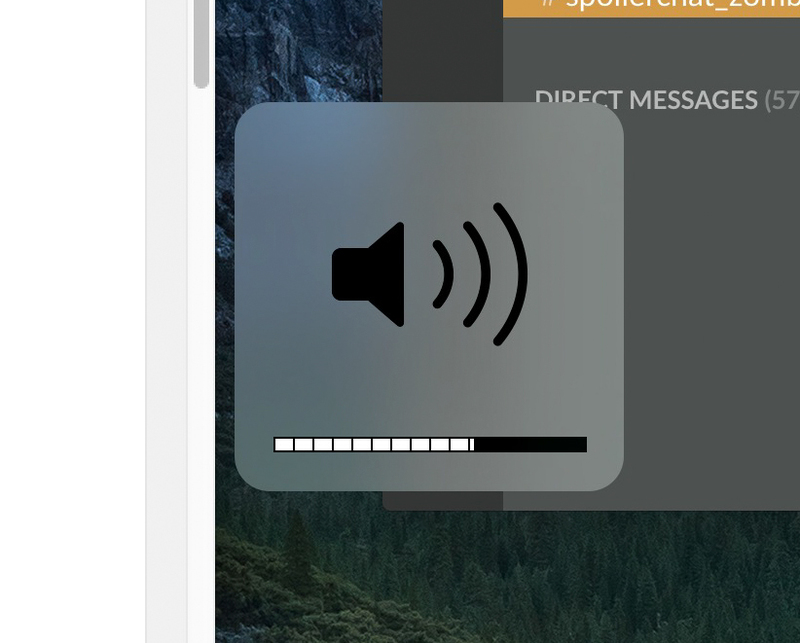 Google wised up to letting users control audio playback from the tabs of the browser some time ago – and it’s nice that Apple has joined the club. Instead of trying to track down which tab is playing music, which is a tough call when you’ve got a million tabs open all the time like I do, you can mute everything in one go, straight from the address bar. Being able to mute all browser tabs without muting the entire operating system is great if you’re watching a video at the same time. 4. 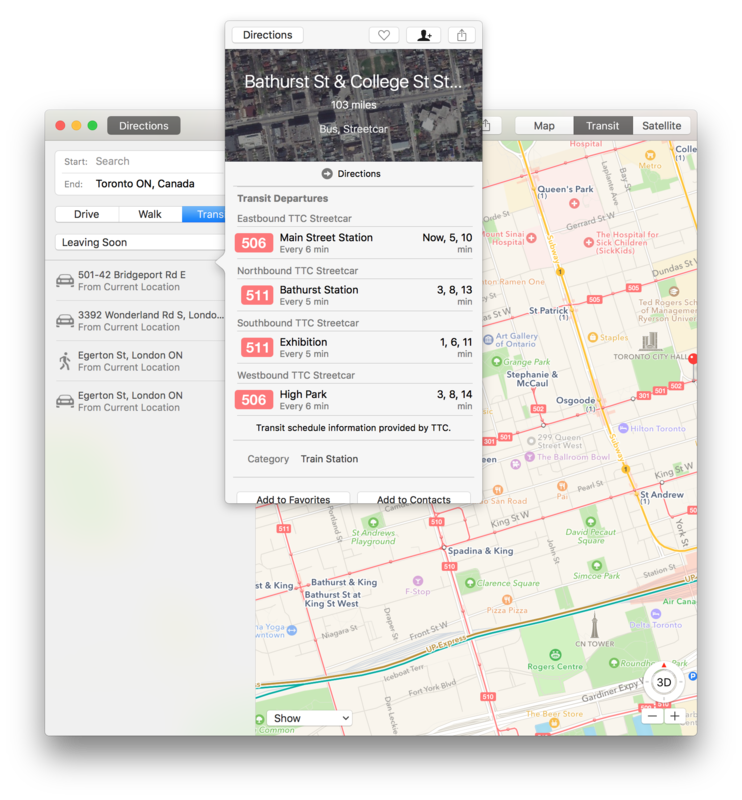 Route your next public transportation trip using Maps. Perhaps the most annoying thing about Apple Maps is its lack of public transit; that’s something that Google has had down for years. Fortunately, the tide is turning, and Apple is finally starting to support it (in a limited but growing number of cities). At least Maps is easier to use than the redesigned Google Maps web interface. Apple has pioneered the widespread use of high-resolution, high-pixel density displays across the breadth of its product line. A downside to that is that sometimes – especially on units like the 5K iMac – it can be hard to figure out where your little cursor arrow has gone. The (slightly ridiculous) solution? Wiggle your cursor back and forth really fast! It’ll suddenly grow, and stay big just long enough to see where it is. 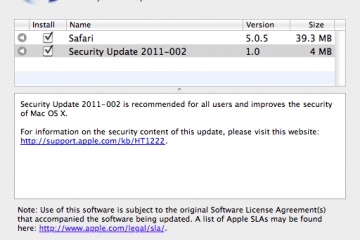 Many of the improvements to El Capitan have been under the hood. Some of them are similar to those in iOS 9, including a new contextual philosophy. Apps now know more about your day and can use that information to subtly improve their usefulness. A prime example is one of Calendar’s new features. It knows where your next appointment is, and sometimes, where you are. Instead of blithely reminding you 5 minutes before your appointment time, it’ll tell you to start going, and include transit time in the calculation. Pretty smart. We mentioned Spotlight’s new weather powers earlier, but it doesn’t end there. Spotlight can also swap between a number of different currencies. 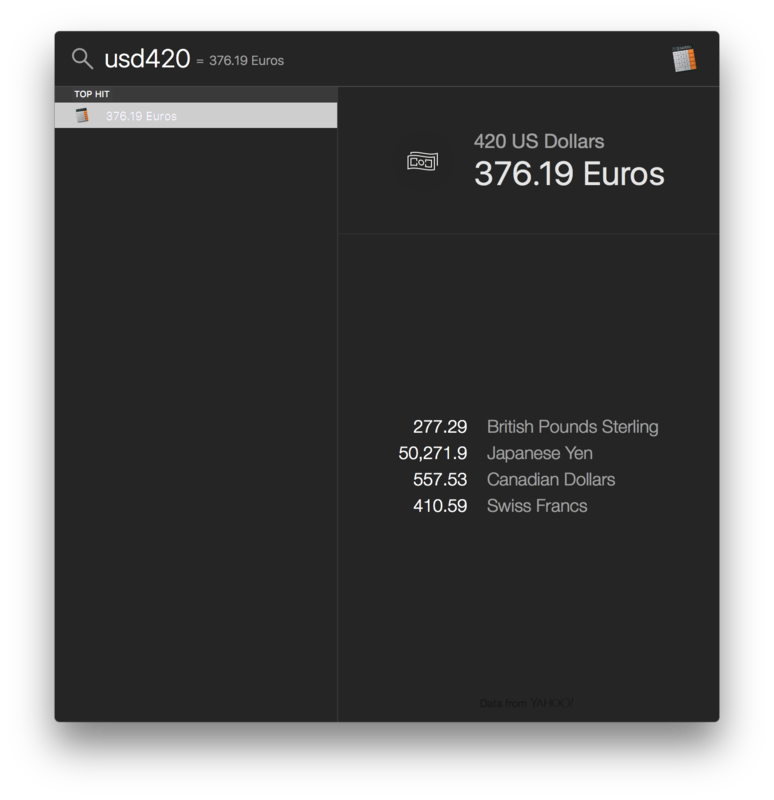 Just trigger the command (⌘ + Space) and type either your currency, followed by the amount (say, USD223) or the amount, followed by the currency (223USD). It’ll then translate to several other options, without you needing to go to the browser. Notes, in prior incarnations of OS X, wasn’t bad. But it was sort of boring. It’s still a lot of things, but boring is no longer one of them. 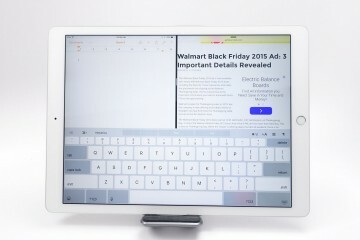 Apple has supercharged the built-in application, offering users, should they choose, the ability to completely stop using third-party note-taking apps such as Evernote. The new Notes lets you plug in Maps address, webpages, photos, and video, and store them alongside your scribbles and jots. 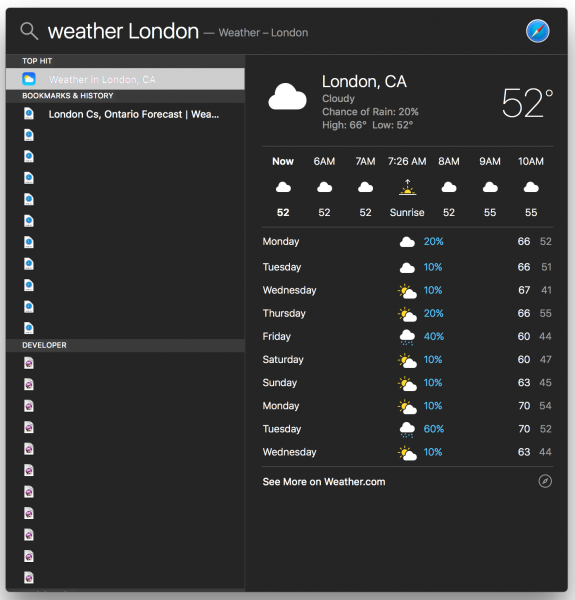 Thanks to the search powers of Spotlight, you’ll be able to find them easily, too, and iCloud will keep them synced across your devices. Force Touch, the new-ish Trackpads that keep track of how hard you press, in addition to where and when, have been part of the retina MacBook lineups for the past several months. 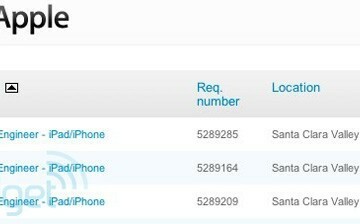 Now, more useful features are being written to take advantage of the hardware – if you have a flight number save in an email, just Force Touch it to figure out where the plane is at that moment. One of the underused applications is Find My Friends feature in iOS. It’s a great way of figuring if someone’s at home, working from a coffeeshop, or at the store. 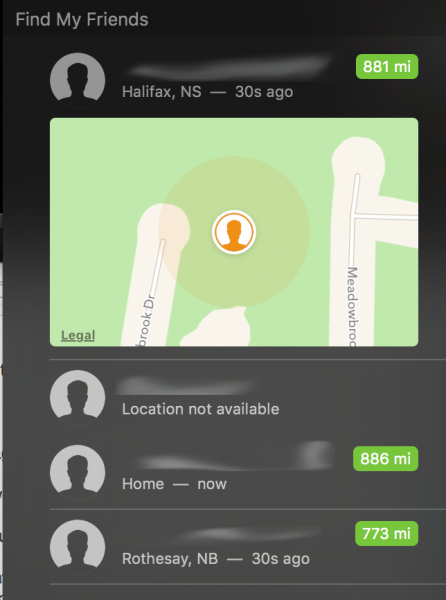 The addition of Find My Friends to the sidebar / dashboard of OS X El Capitan fixes this problem. 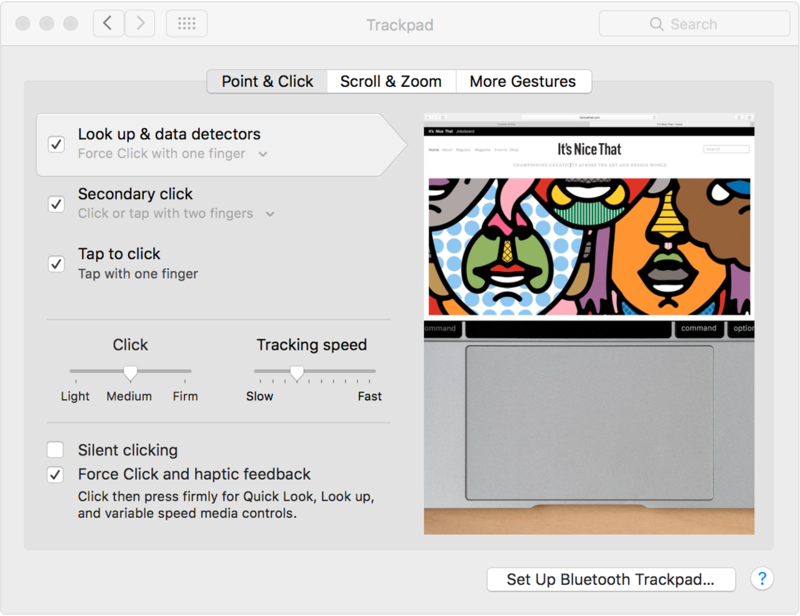 Just two-finger swipe inward from the right side of your trackpad, select edit, and add the widget to your display. Google used to have a killer app for this in the form of Google Latitude, but the company shut down the service down.